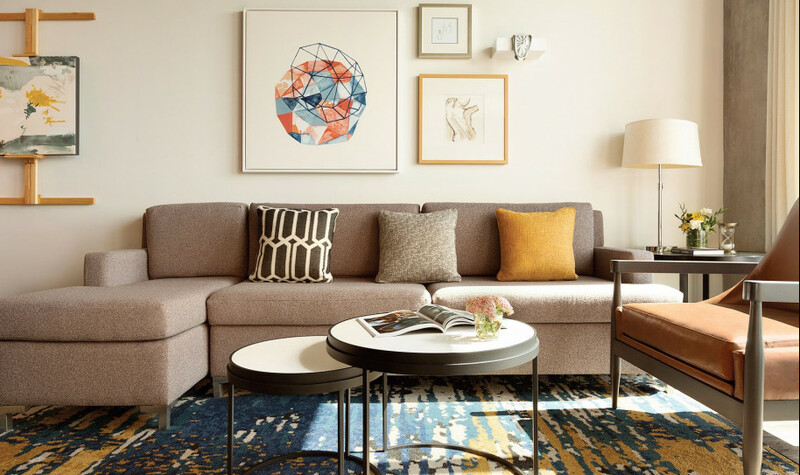 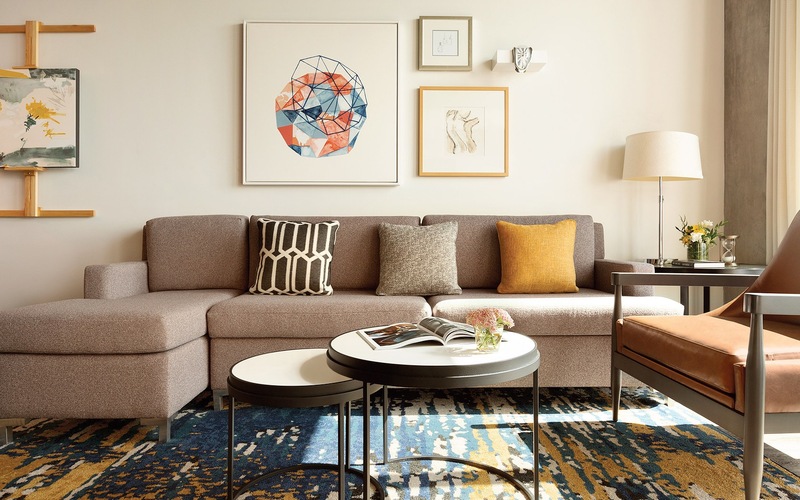 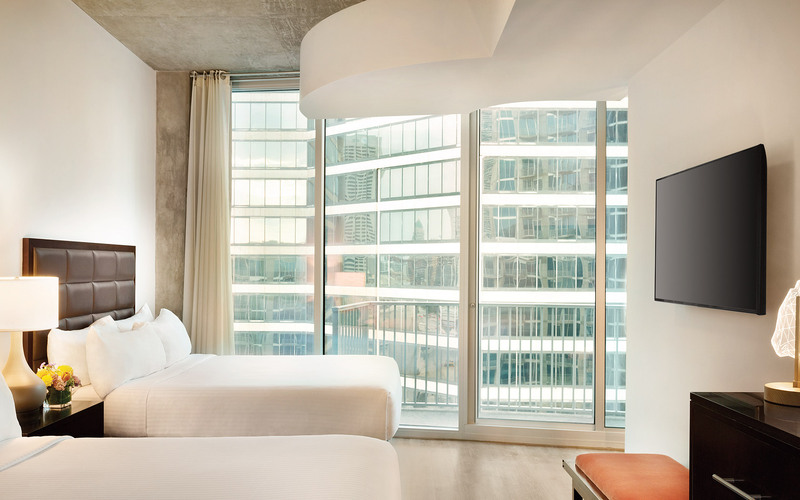 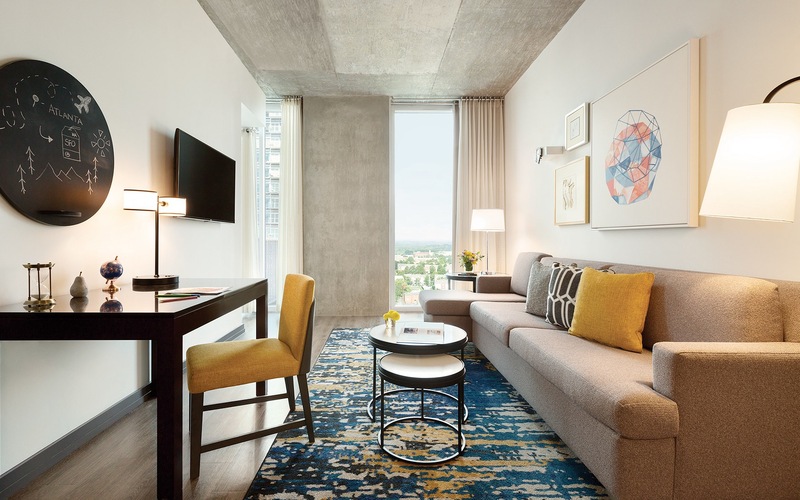 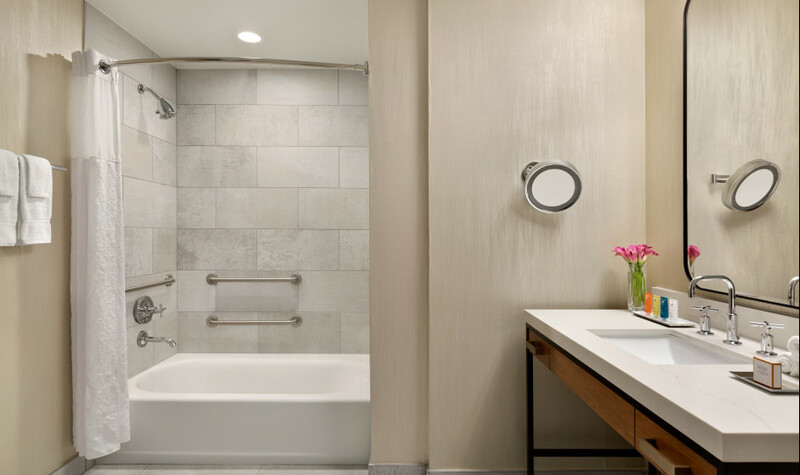 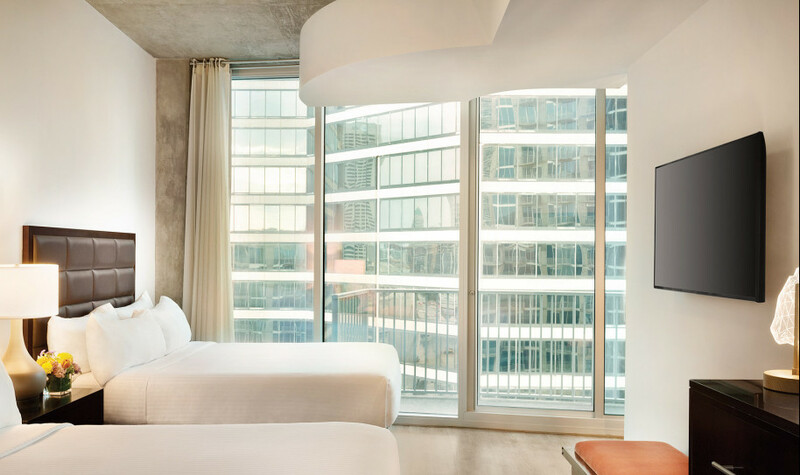 Each of Twelve Midtown’s Atlanta hotel suites come with the casual comforts of home, from a full-sized kitchen equipped with stainless steel appliances to flat-screen TVs with premier satellite programming. 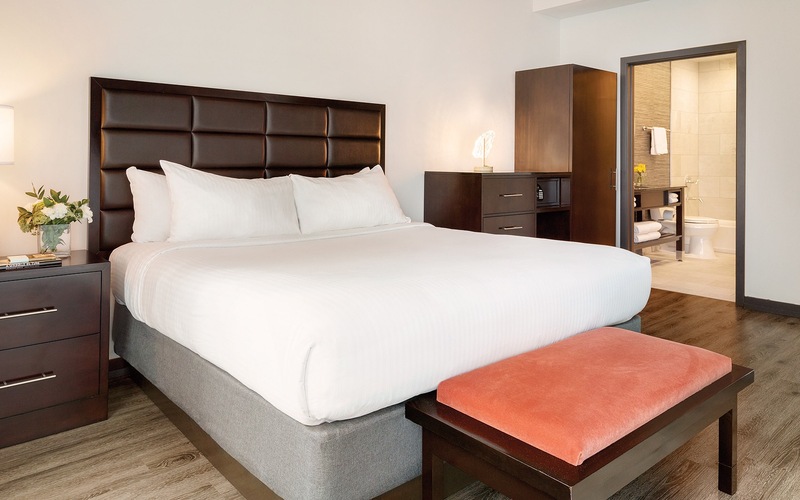 Whether it’s a business trip, a family vacation, or something else, make it a memorable stay at Twelve Midtown. 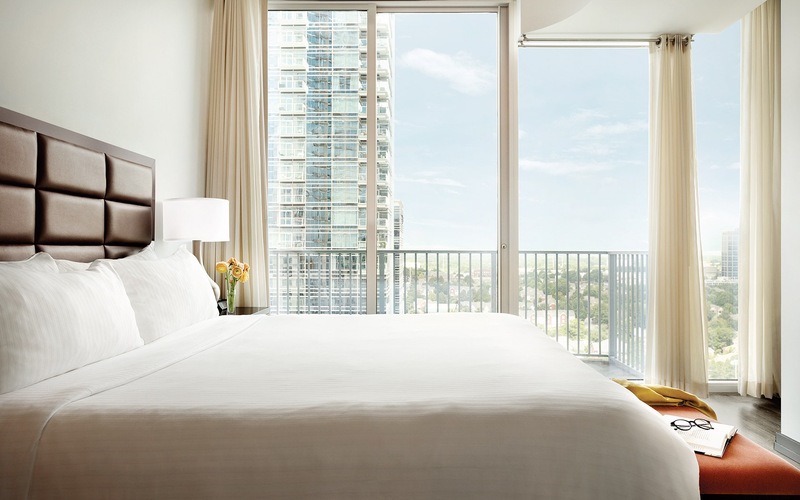 Available with a king-sized bed or double queens, our spacious One Bedroom Suites come standard with a full gourmet kitchen, a living area, and a separate bedroom. 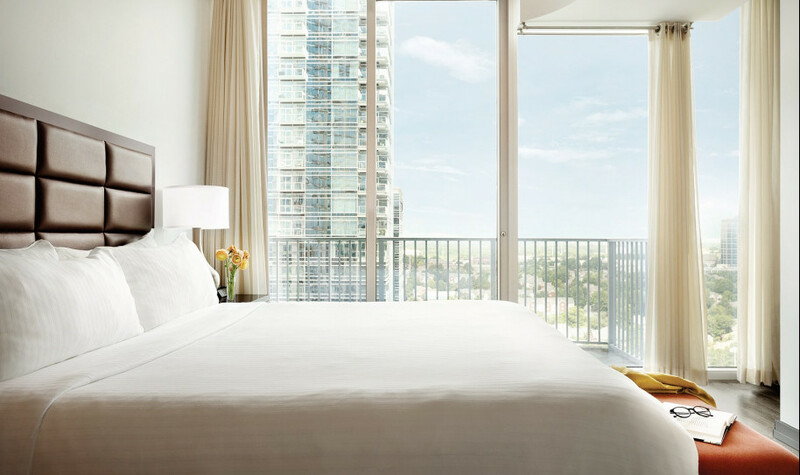 More highlights include a sliding glass door and stylish Juliet balcony. Each of our Deluxe Two Bedroom Suites come standard with a full kitchen, living area, and separate bedroom. 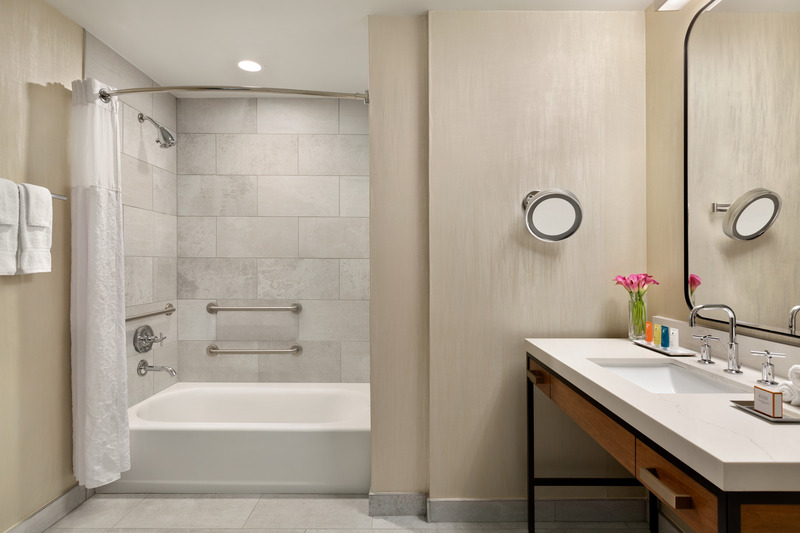 Ideal for families or friends traveling together, these suites can be divided by a pass-through door, for extra privacy. Available with a king-sized bed or double queens, our spacious accessible guest rooms can be booked with ease.